Here’s an internship posting that illuminates a potential vocation for art students–librarianship + artists’ books. 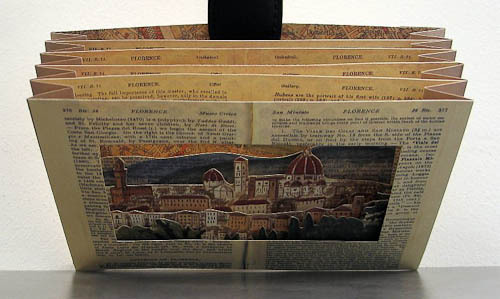 While it’s rare to find a position that works exclusively with artists’ books, it is possible, and many university and museum library collections feature artists’ books for teaching and learning. The Smithsonian Libraries’ Summer Internship Program includes an internship for working with artists’ books at three of the art libraries at the Smithsonian (the Hirshhorn, the American Art Museum/National Portrait Gallery, and African Art). Interns will be working closely with staff from all three libraries and the Smithsonian Libraries’ internship are unique learning experiences that benefit from professional mentorship from SIL staff, as well as internship programming opportunities and events from the Libraries and the Smithsonian Institution. Please note that this internship does not carry a stipend, though we are happy to work with students to help them obtain credit from their college or university. Please note that although the deadline is given as April 12, we will be accepting applications until the internship is filled. Please feel free to contact me if you have any questions. This entry was posted in Art Librarianship, Professional Development and tagged artists' books, internship, SAAM, Smithsonian. Bookmark the permalink.